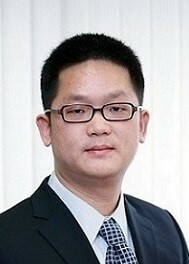 Yu Yang is currently an Associate Professor at the School of Entrepreneurship and Management, ShanghaiTech University. Prior to joining ShanghaiTech in 2015, he taught as a Postdoctoral Fellow at Cornell University’s Johnson Graduate School of Management for two years and as an Assistant Professor at the China Europe International Business School (CEIBS) for five years. Dr. Yang received his Ph.D. in psychology from the University of Southern California.